SHANGHAI, Dec 5 (APP):: The Chinese and Pakistani navies held rich exchange activities during the on-shore planning stage of the “Friend-2017” China-Pakistan joint military exercise. Captain Shahzad Iqbal, captain of the Pakistan Navy Ship (PNS) Saif, visited China’s guided-missile frigate Jingzhou on November 30, the day the Pakistani frigate arrived in Shanghai for a five-day visit, a Chinese military journal “China Military” reported on Tuesday. At the meeting with Commander Wang Hongbing, commanding officer of the frigate Jingzhou, Iqbal told Wang he ever studied in the Dalian Naval Academy in northeast China’s Liaoning province last year. Wang said he was also a graduate of the academy and very happy to know they were alumni. Sailors of both navies visited each other’s frigate. On the PNS Saif, the visitors listened to a brief introduction of the frigate, watched a short video about Pakistan and tasted delicious Pakistani food. Also on that day, the Chinese and Pakistani marines had professional exchanges. The two sides discussed technical details about anti-piracy operations. During the three-day planning stage, the two sides held two coordination meetings and three specific workshops on the exercise details, in order to have better interoperability between the two navies in the maritime exercise. The maritime stage of the exercise includes over ten subjects such as live ammunition practice, joint search and rescue, and driving away suspect small targets. 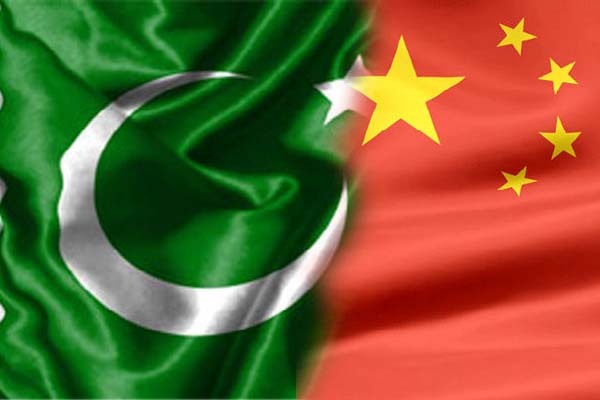 This is the fifth joint military exercise between Chinese and Pakistani navies, which consists of three stages – on-shore planning, maritime execution and review. Participants of the joint naval exercise are the Chinese frigate Jingzhou and Pakistani frigate Saif.